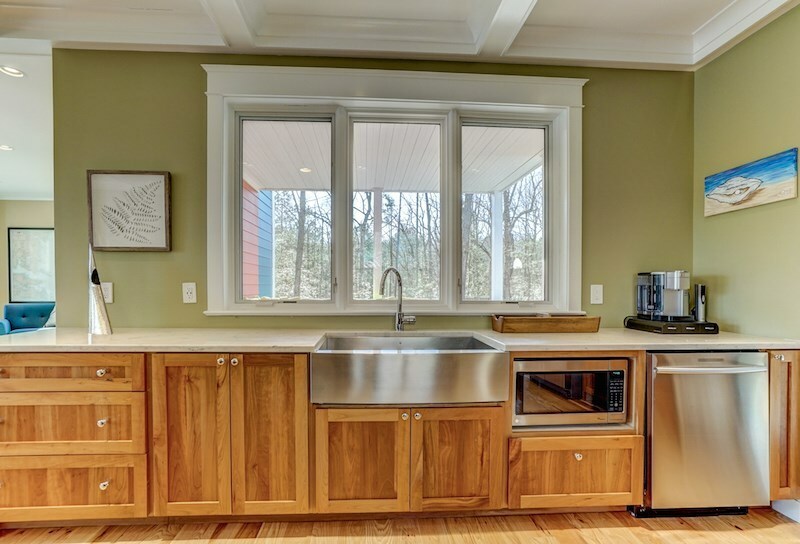 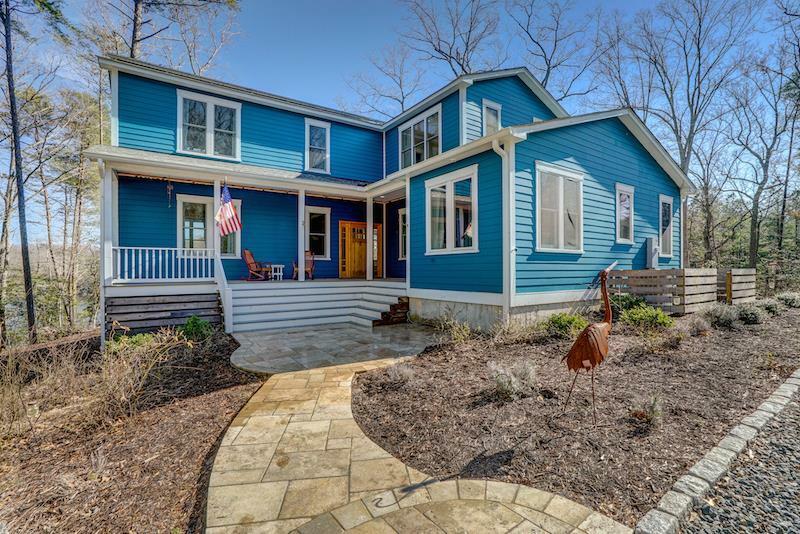 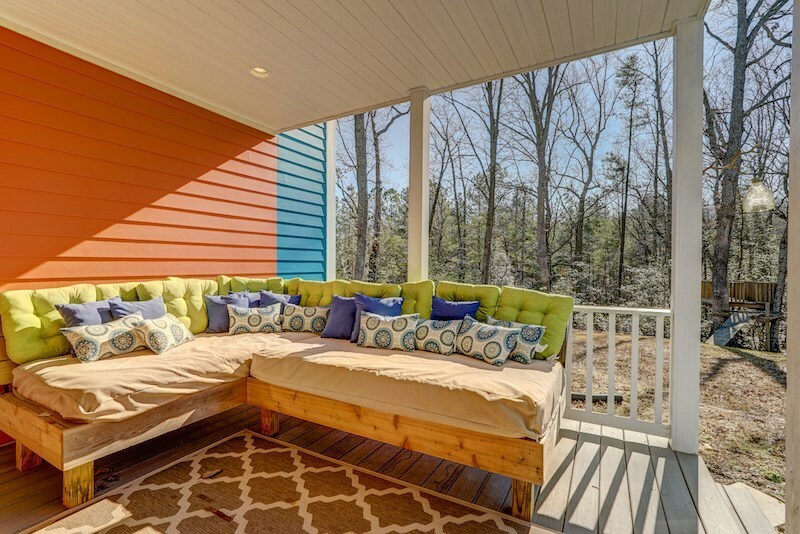 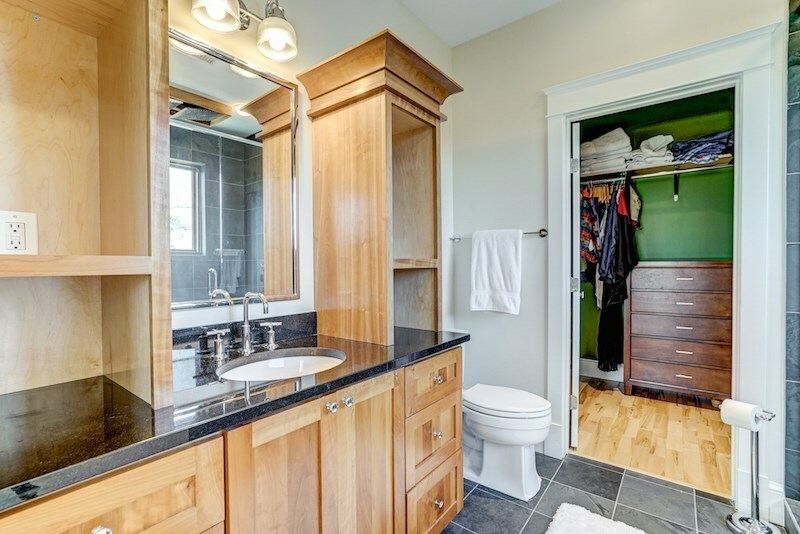 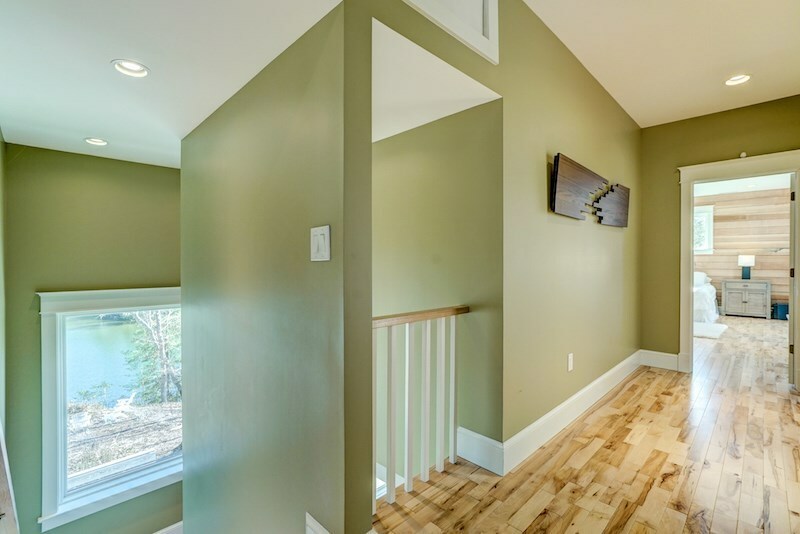 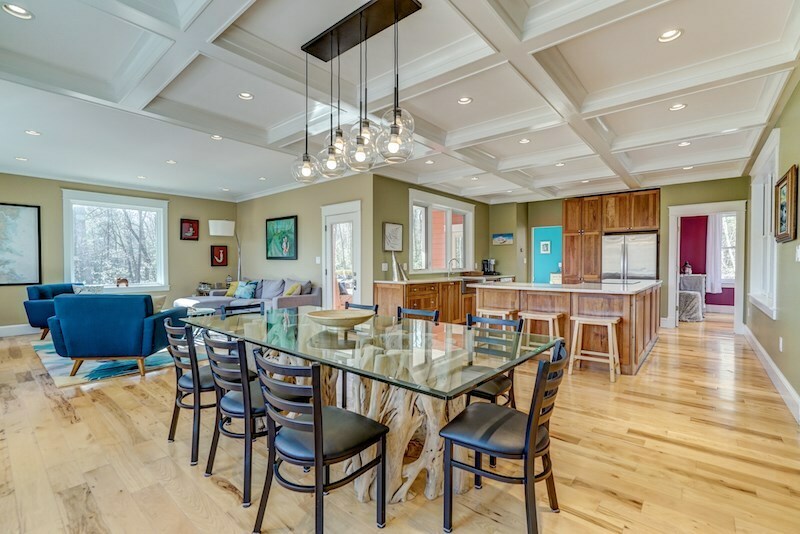 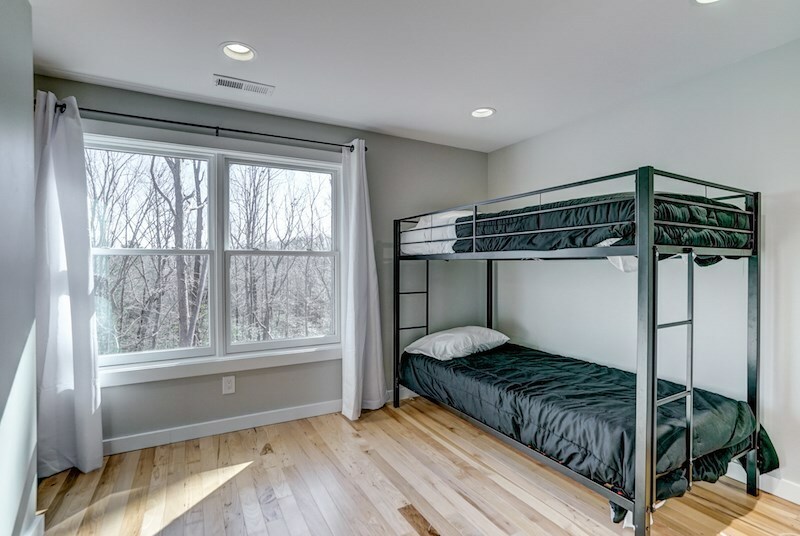 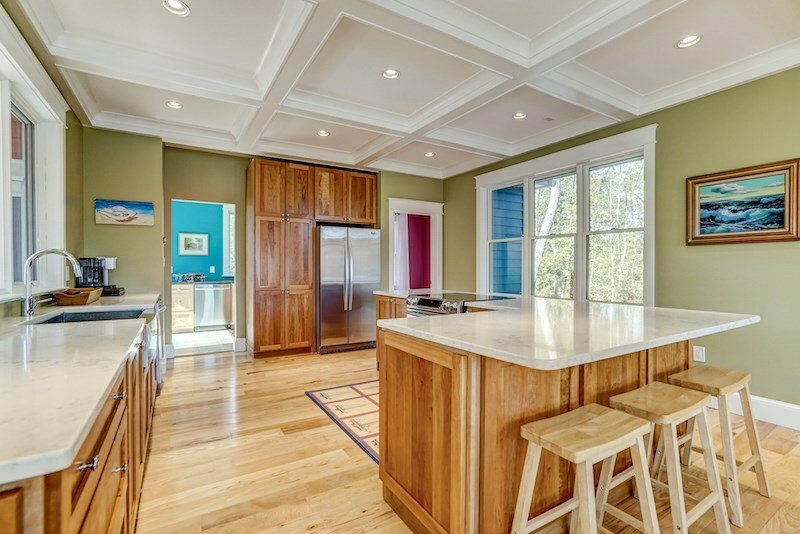 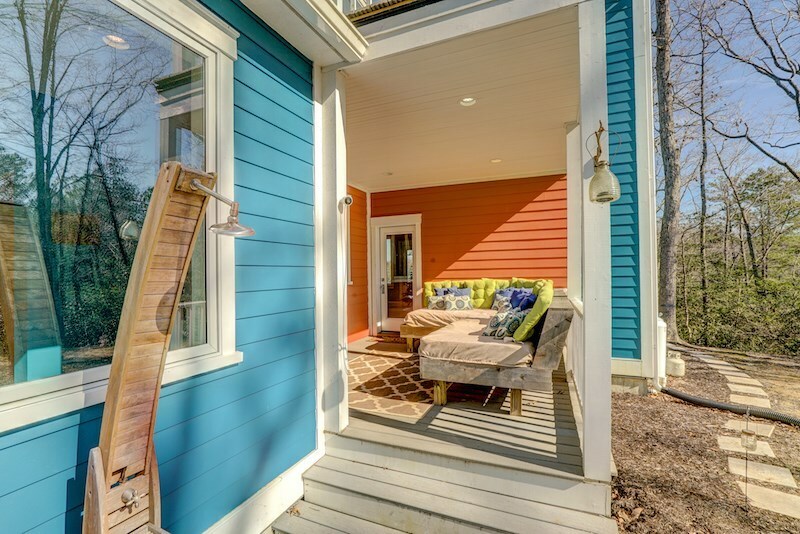 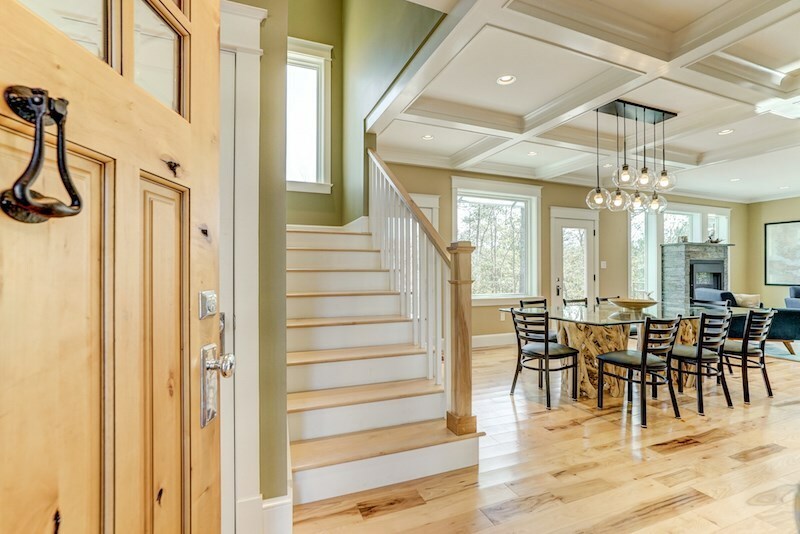 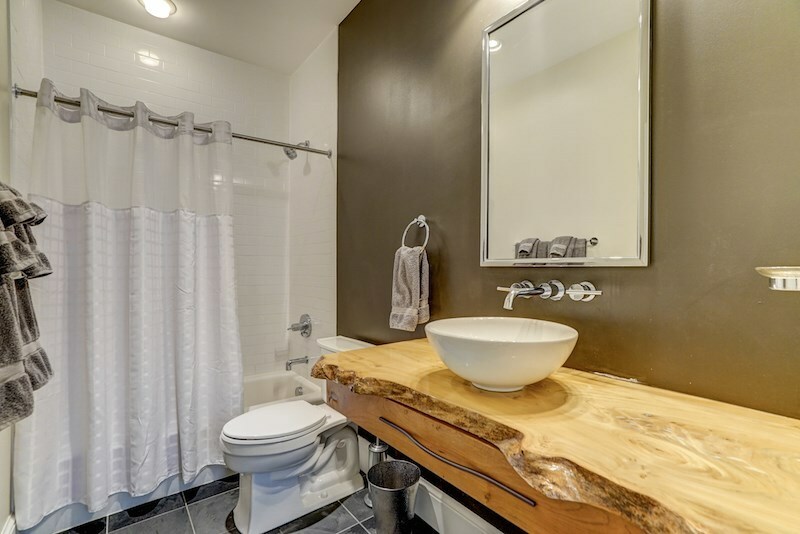 This home offers details you won't find anywhere else. Designed to feature the spectacular views, this floor plan maximizes space and creates an open relaxed style. 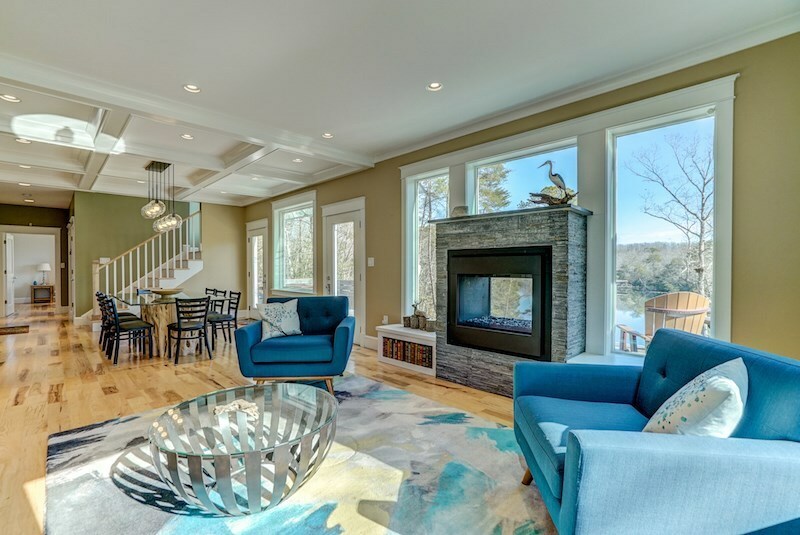 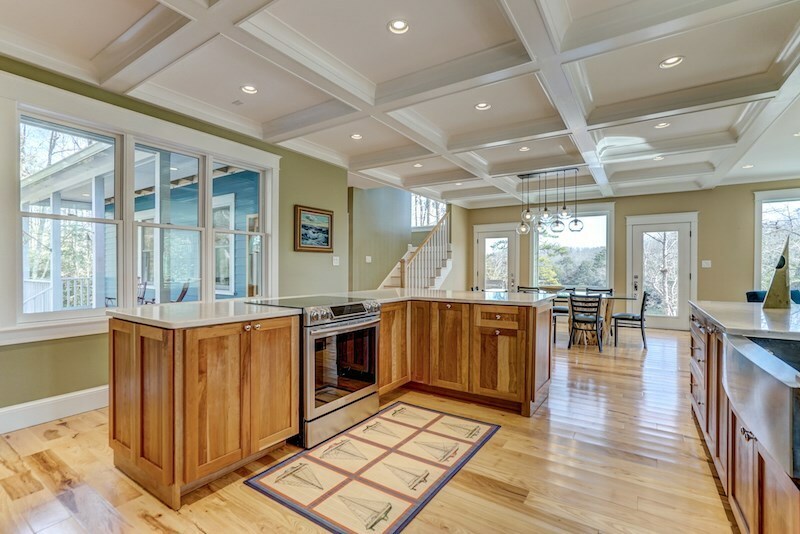 Details include a two sided gas fireplace between the great room and waterside deck, kitchen with quartzite counters, solid cherry cabinets and butlers pantry with 2nd dishwasher, two first floor bedrooms and three second floor bedrooms. 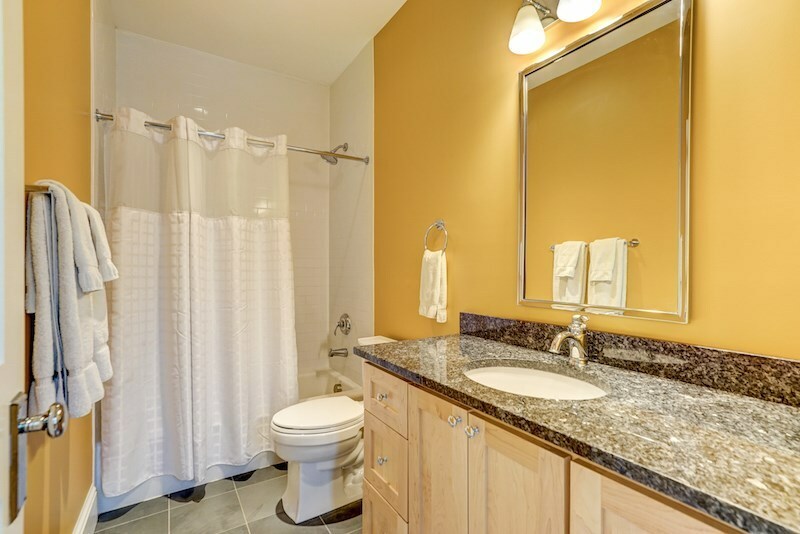 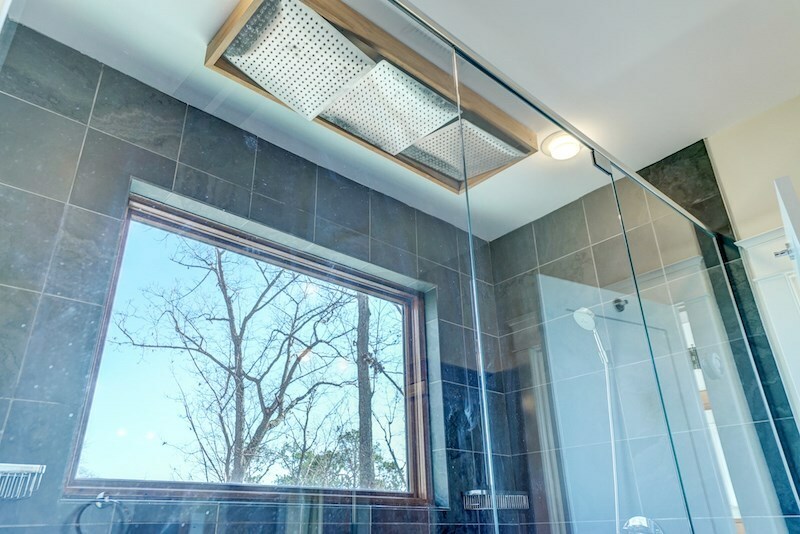 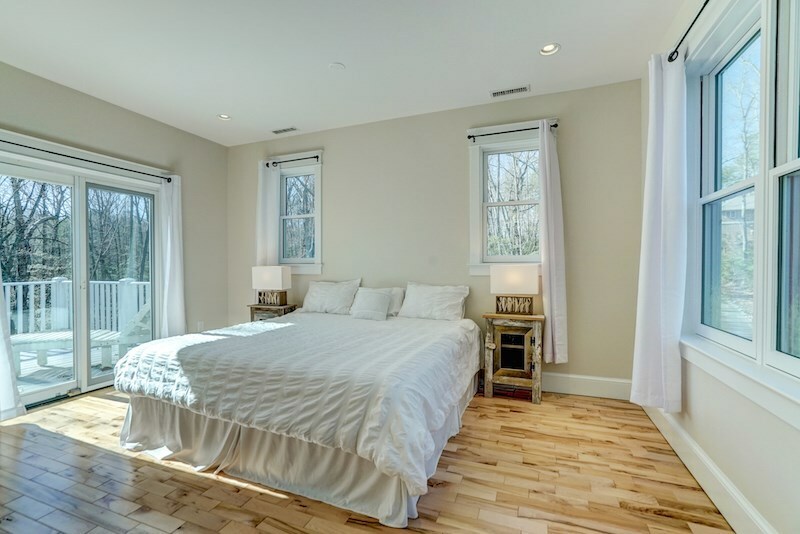 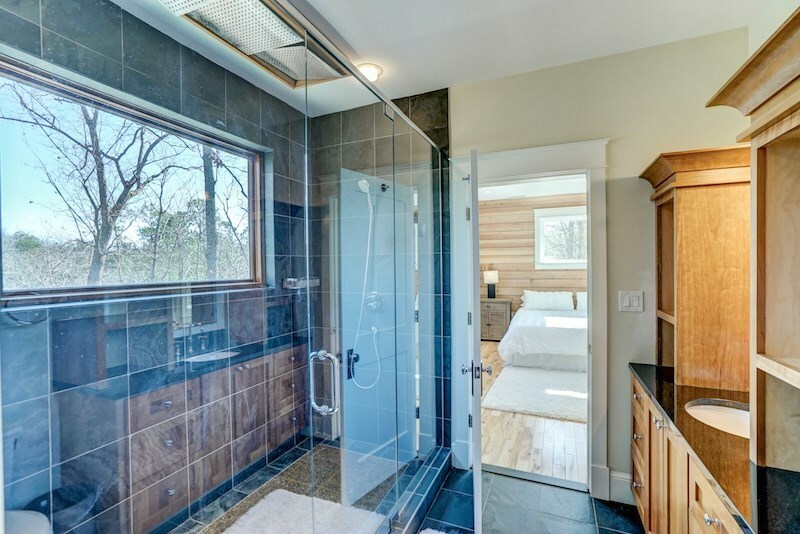 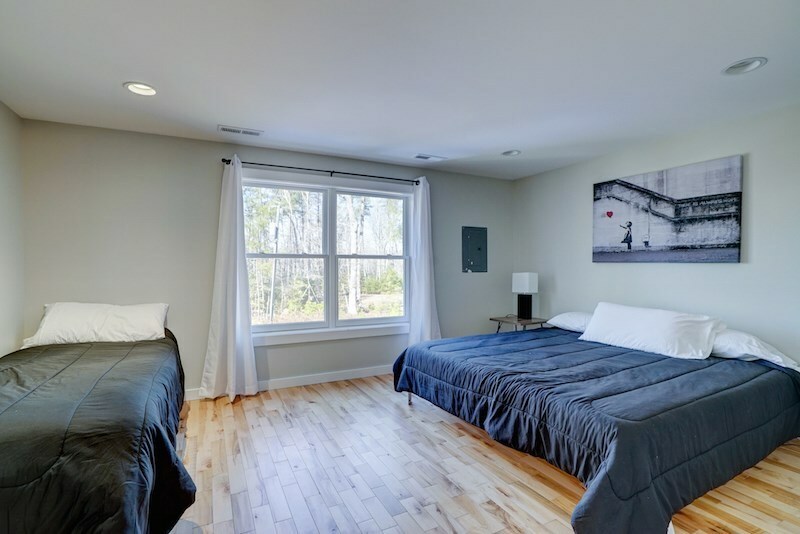 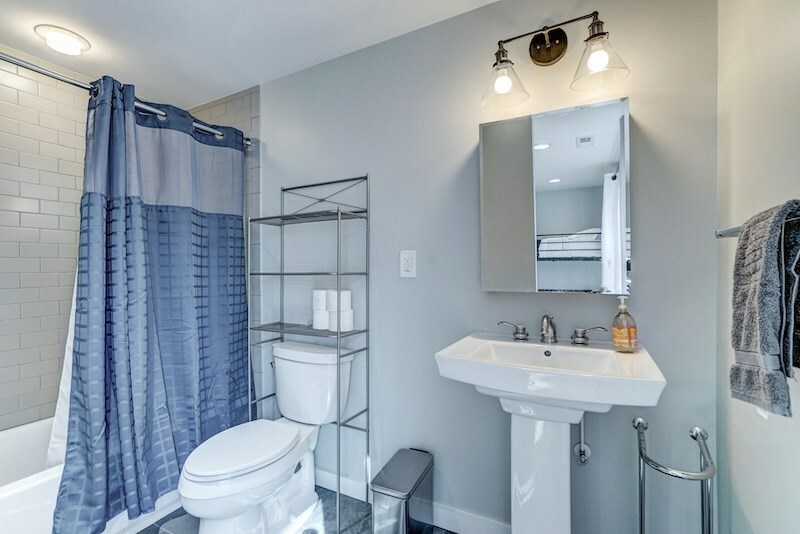 The master suite includes a fabulous bath with oversized shower boasting 3 rainfall shower heads, walk in closet and outside sun deck. 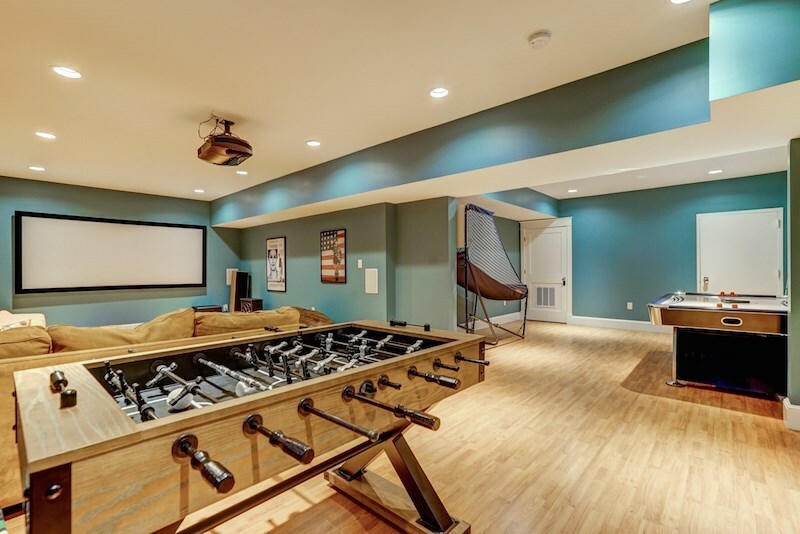 The lower level offers a huge media room and three storage areas, one with garage door outside access. 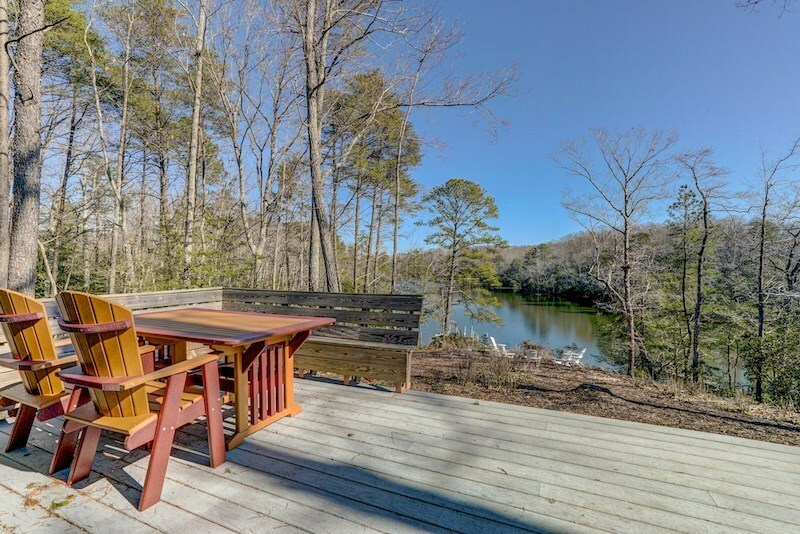 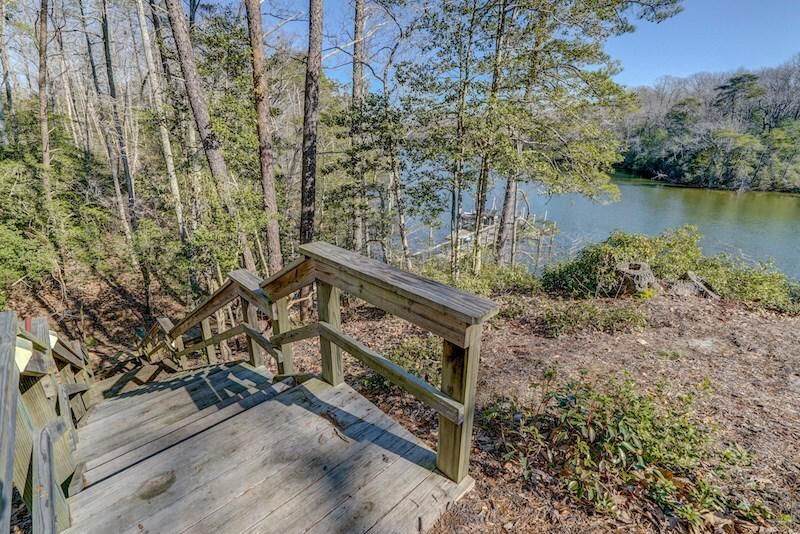 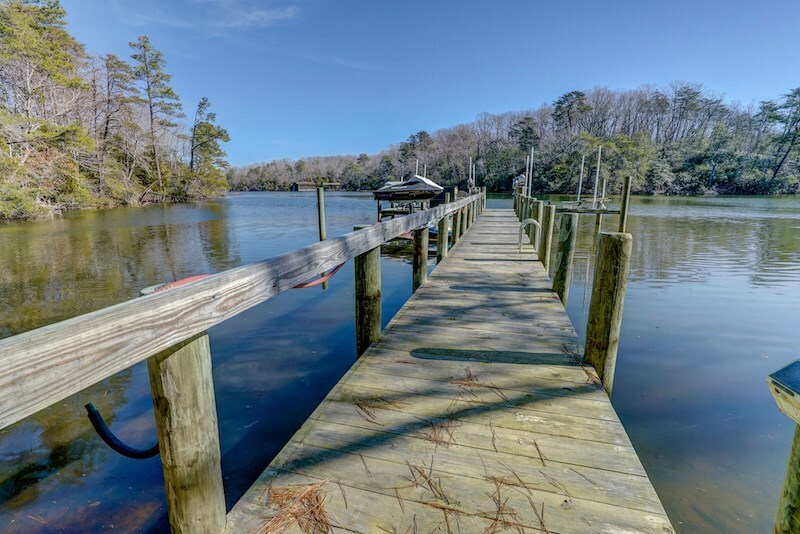 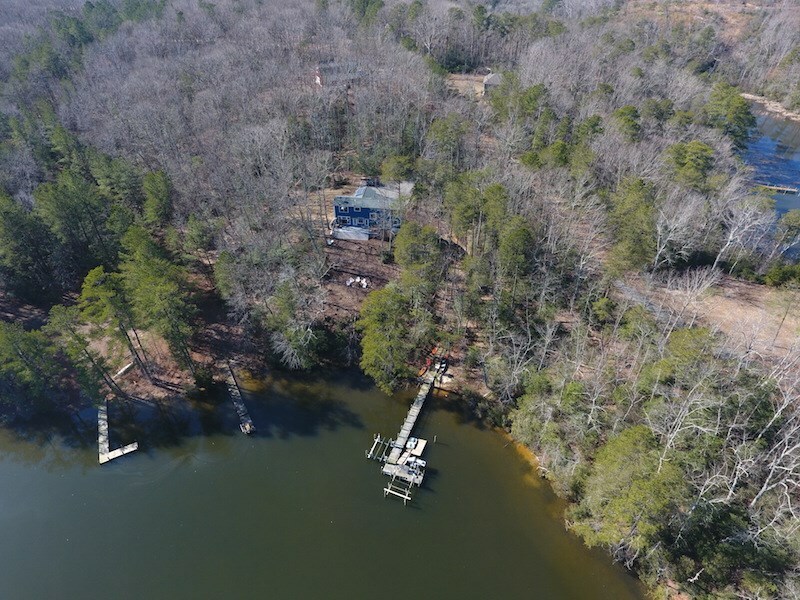 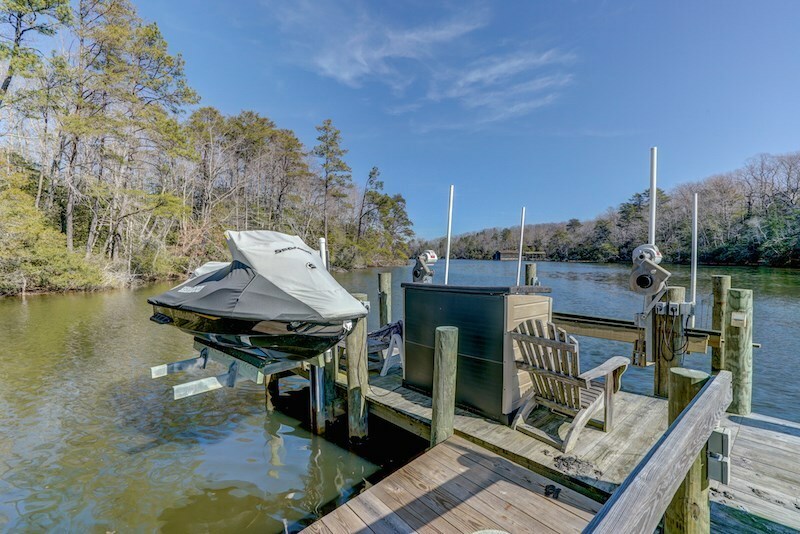 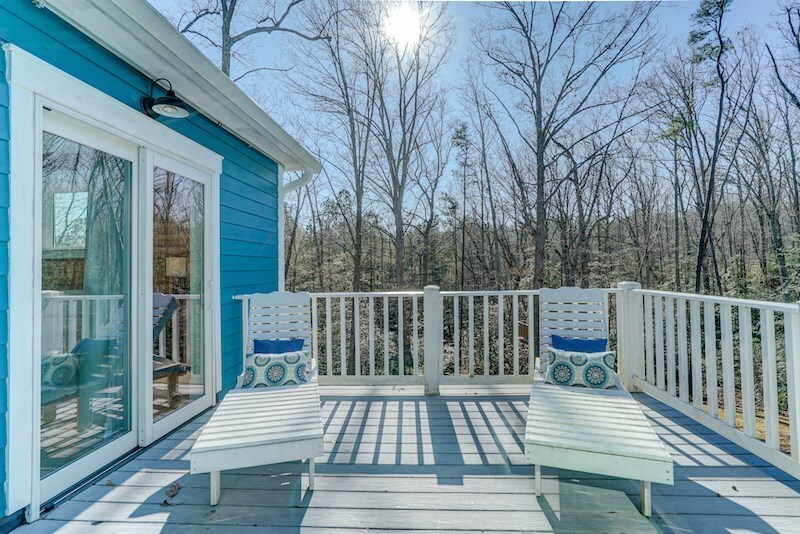 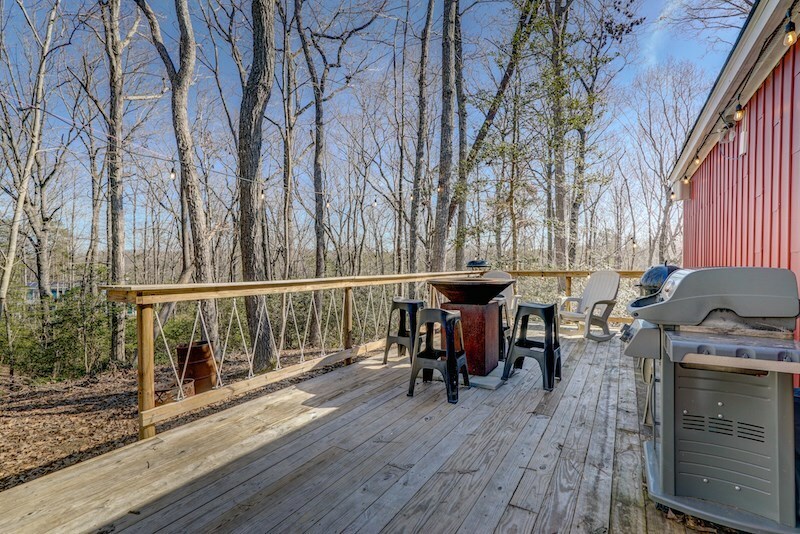 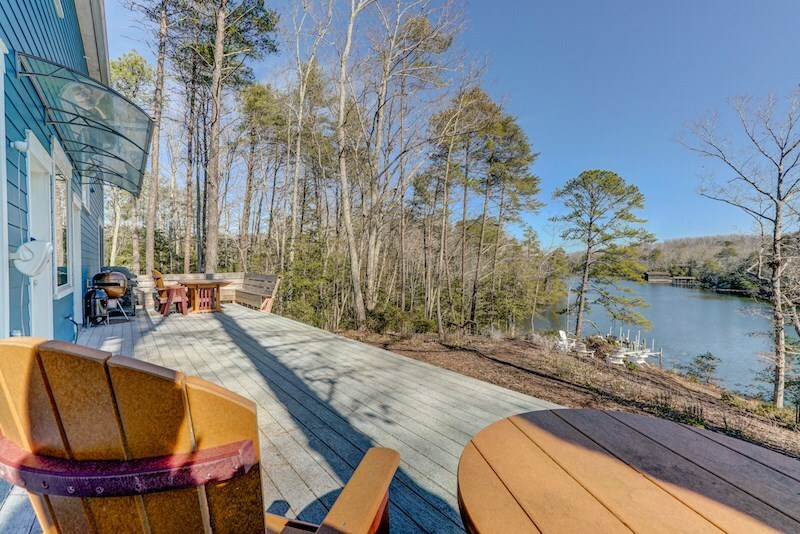 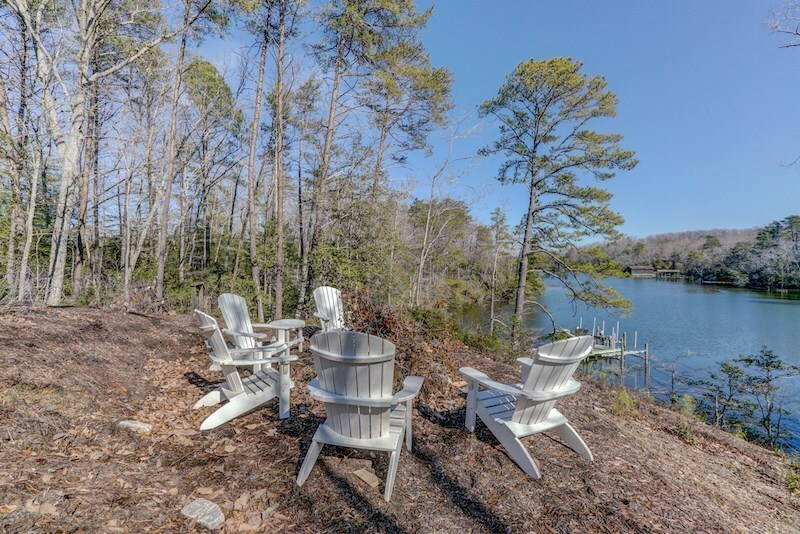 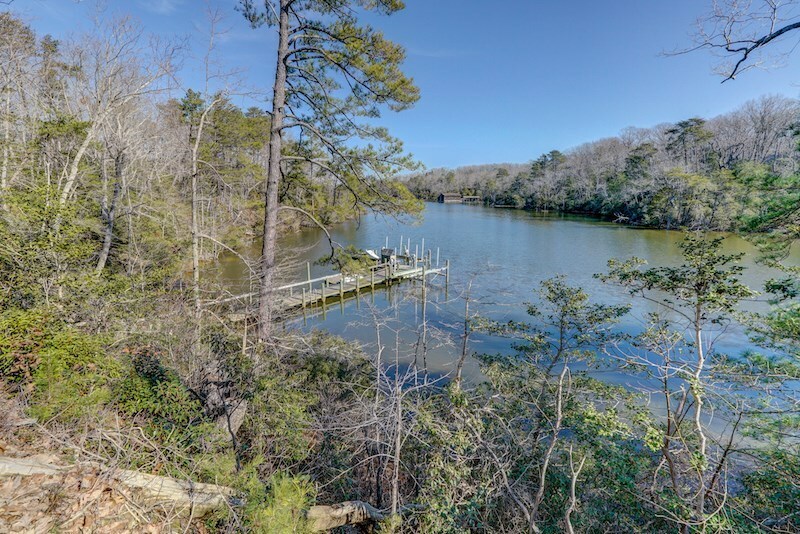 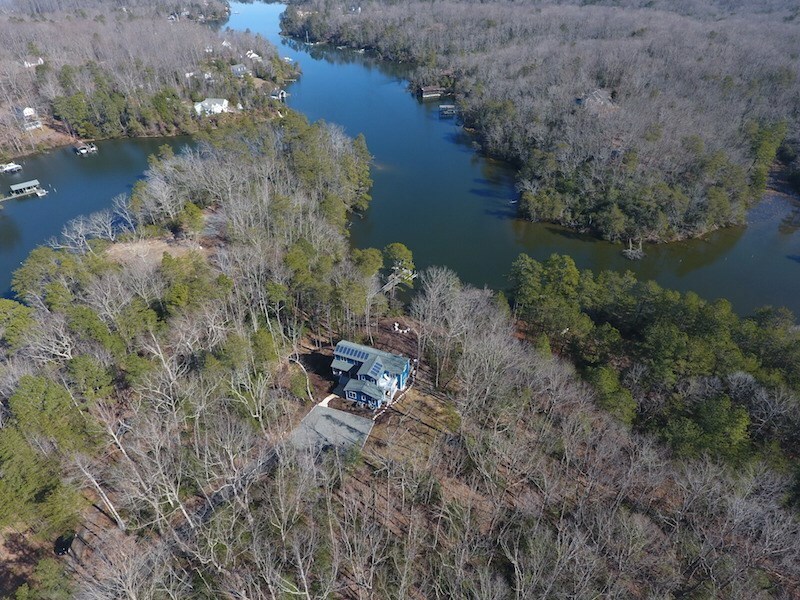 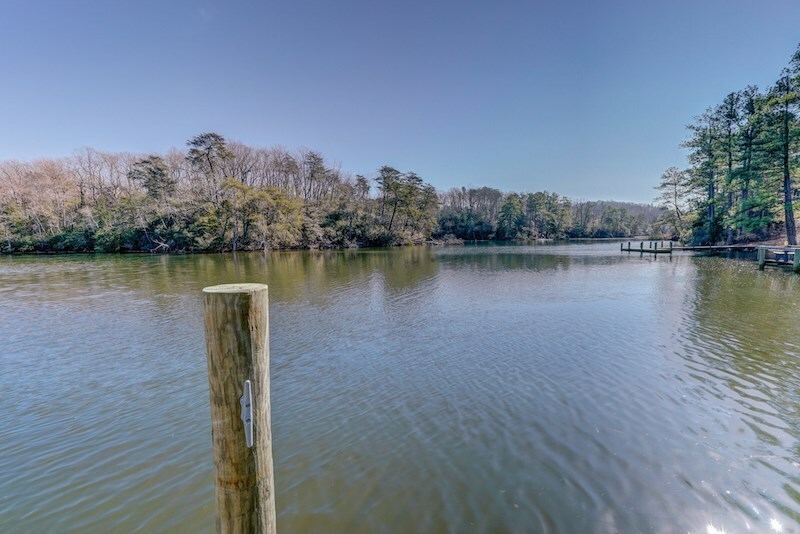 Step off the waterside deck and enjoy the fire pit area or dock with 2 boat lifts, jet ski lift, floating dock, power and water. 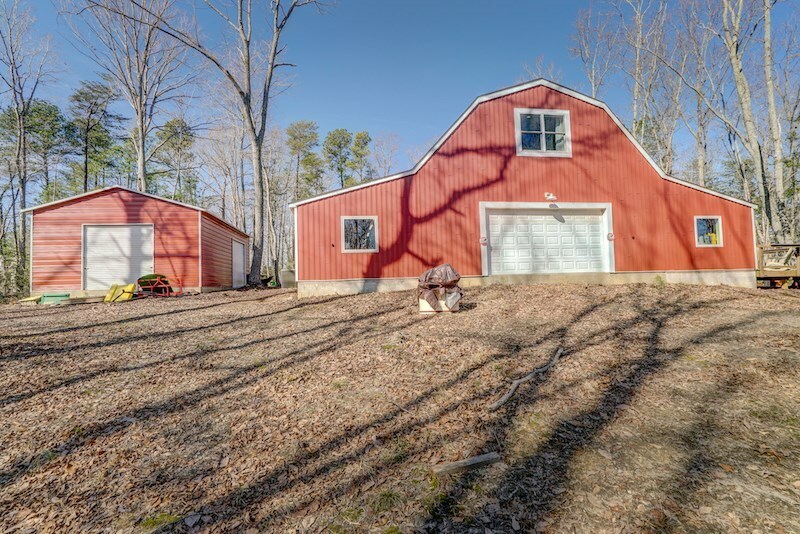 Or, head to the amazing barn with 2 bedroom apartment above. 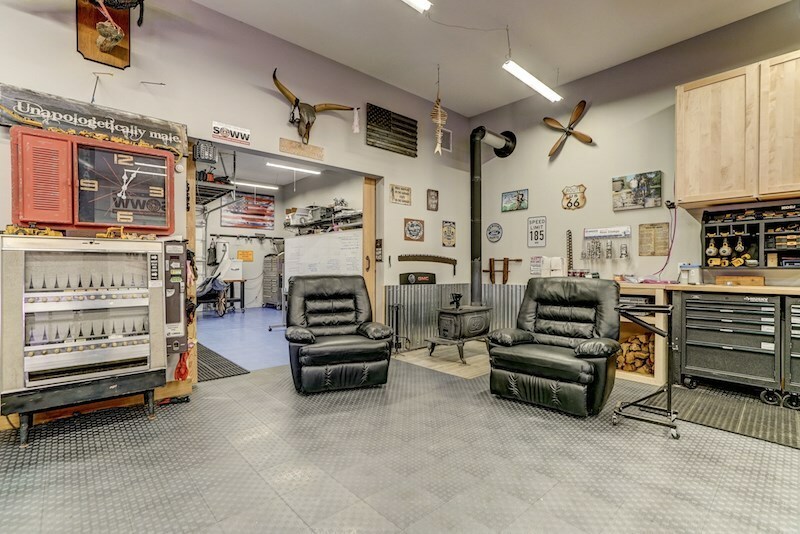 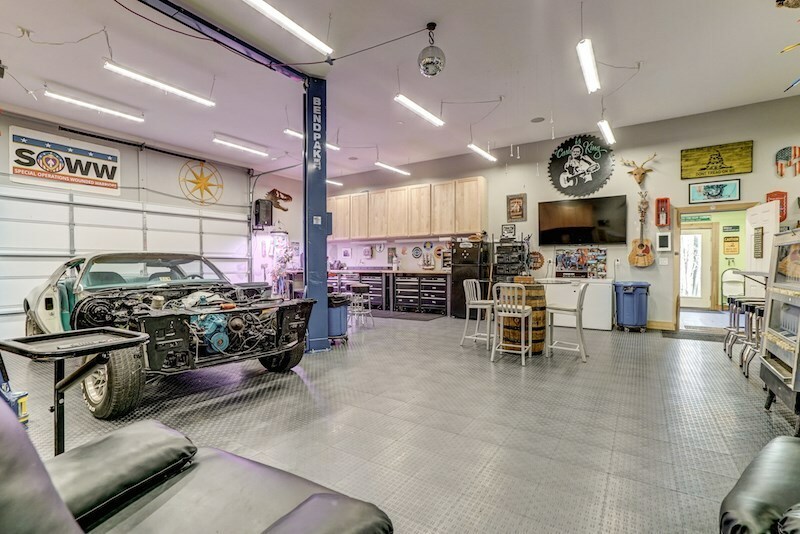 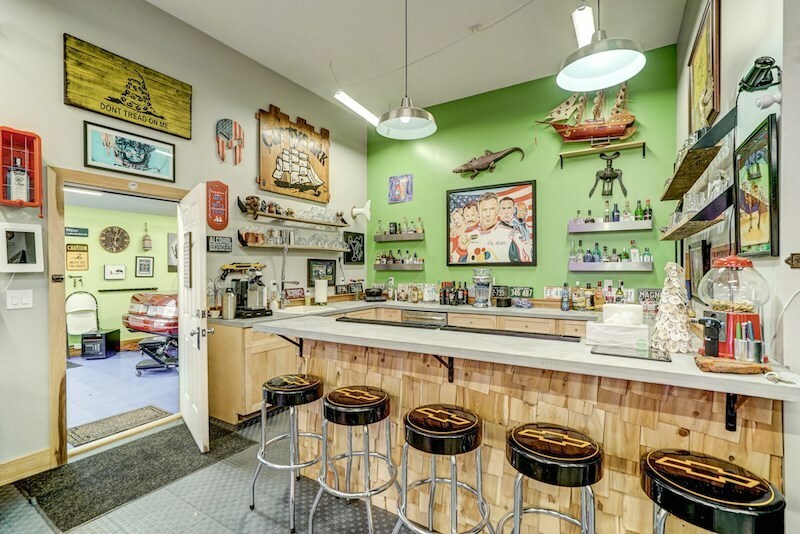 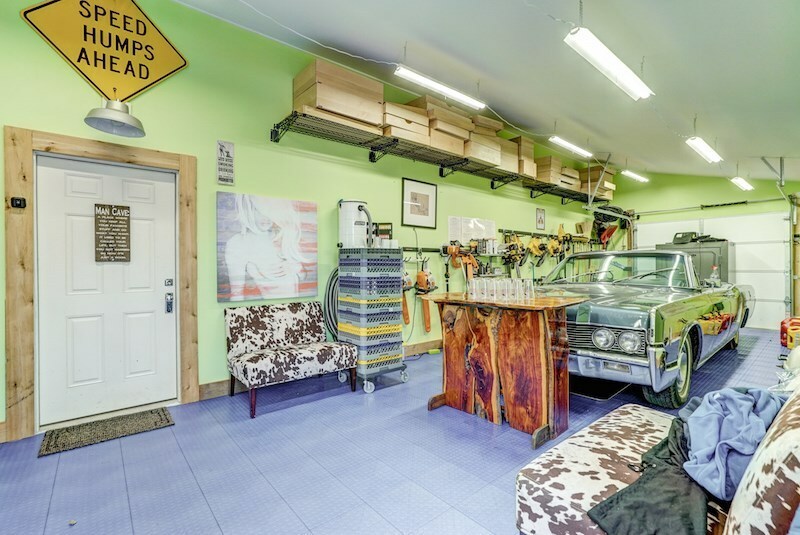 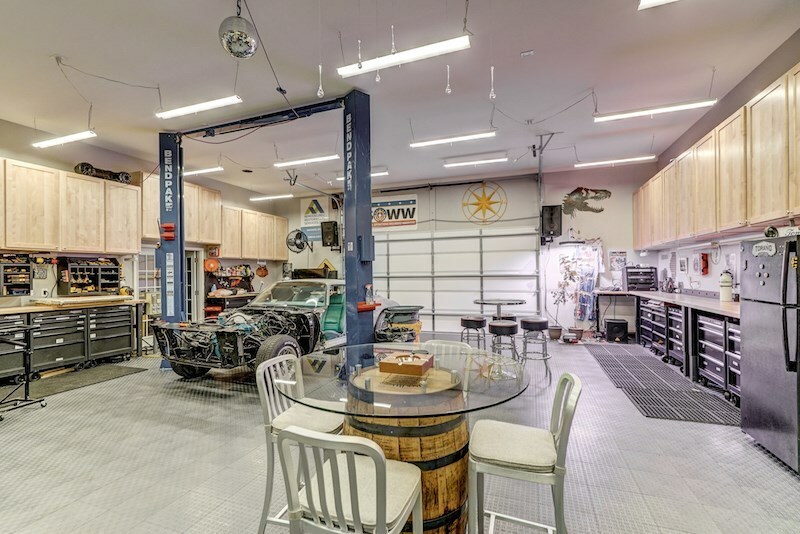 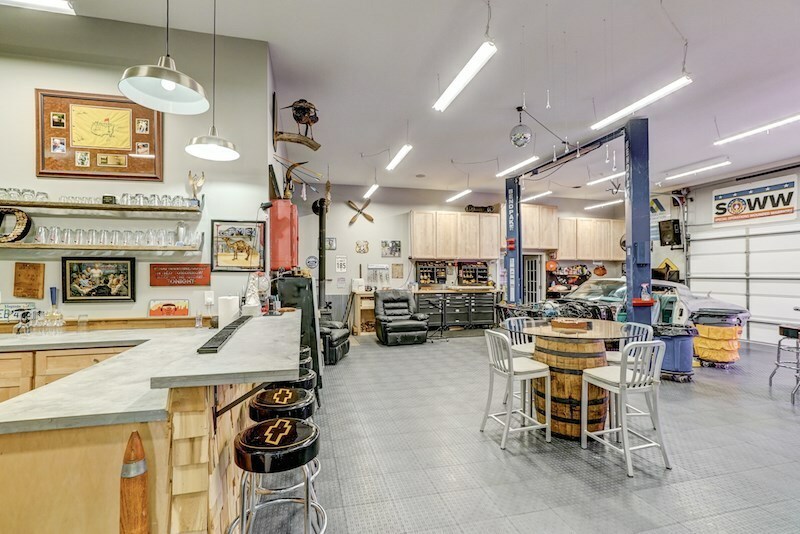 More aptly called the "man cave," the barn houses space for multiple cars, car shop with lift, work shop, full bar and entertaining area and outside deck. 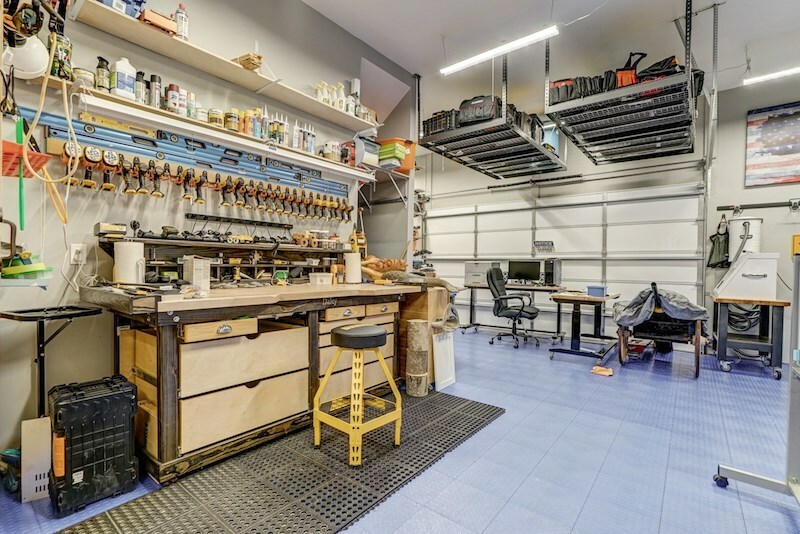 There is also a separate 32x24 workshop/garage with power. 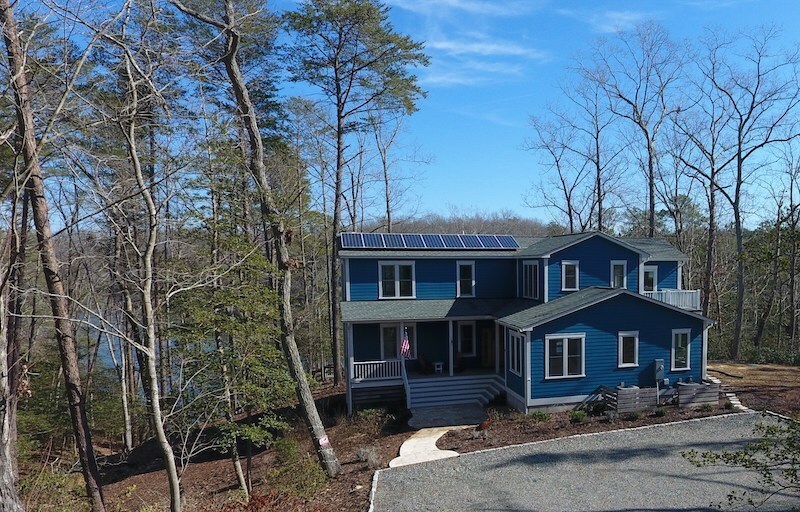 Don't forget to notice the solar panels installed on the home for energy efficiency and reduced bills. 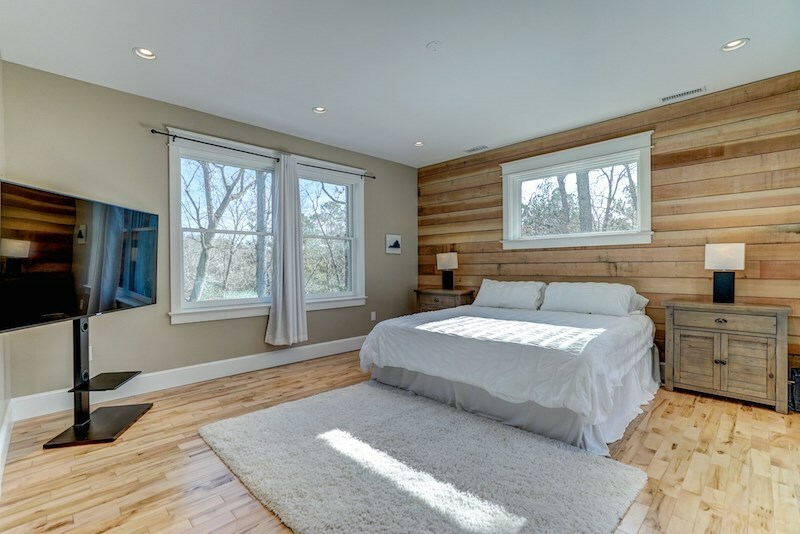 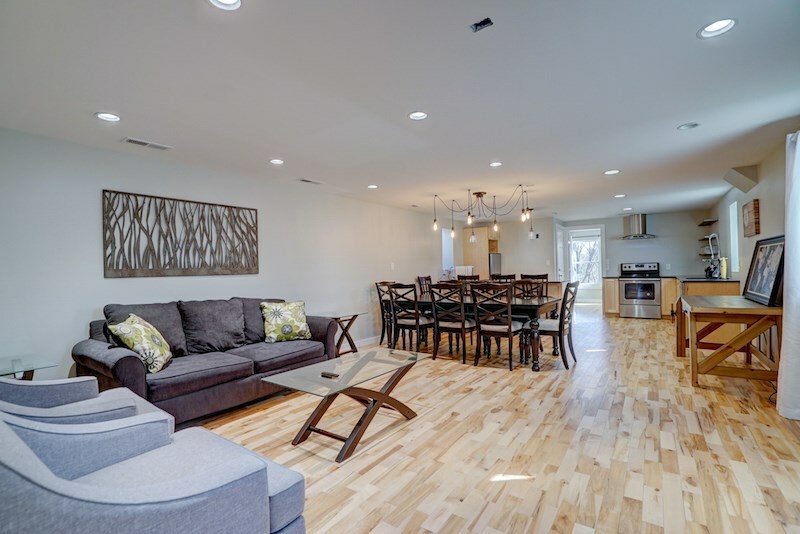 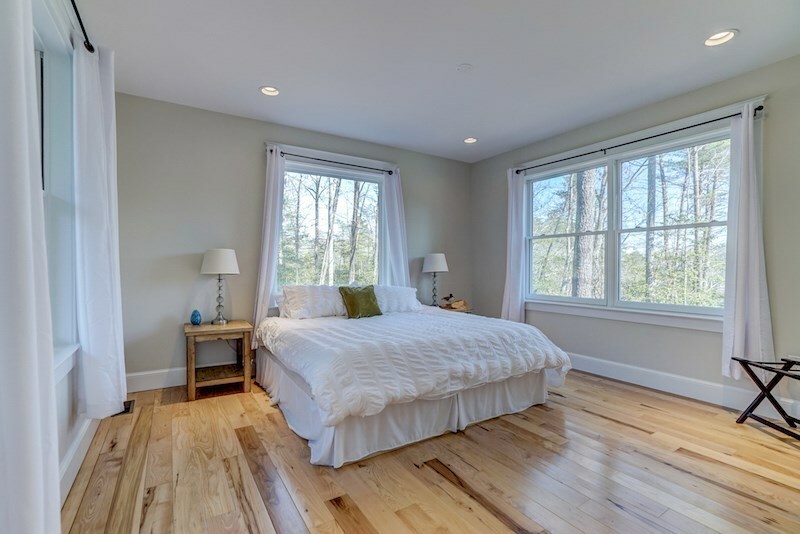 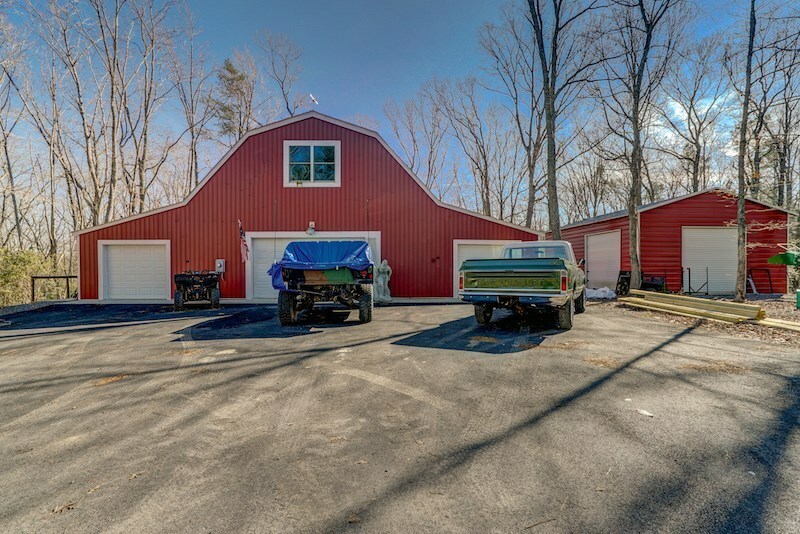 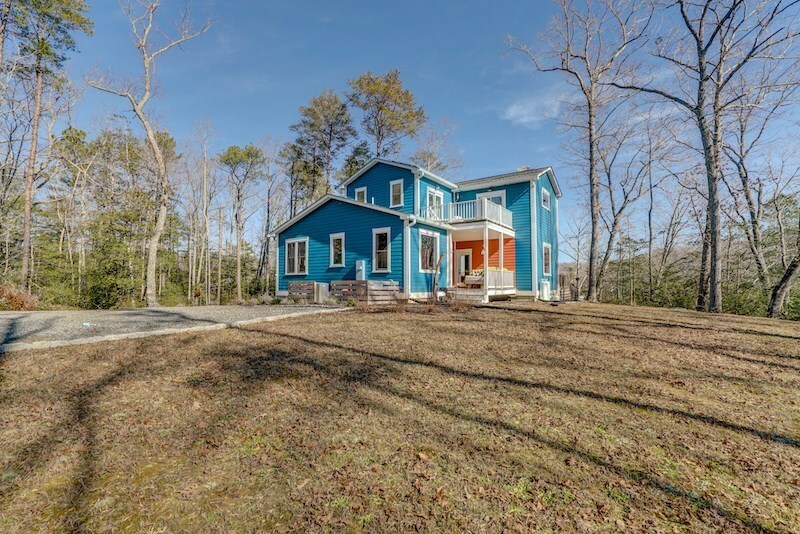 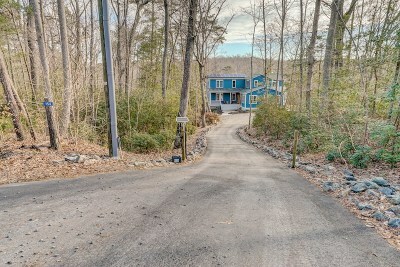 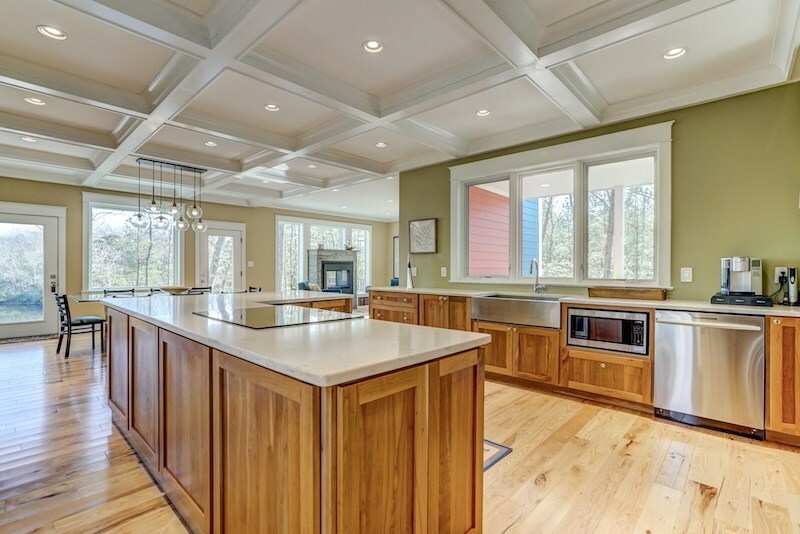 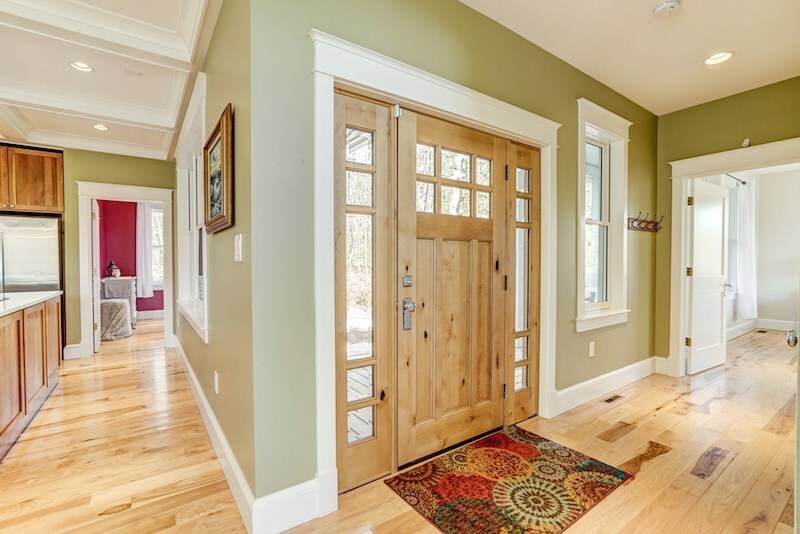 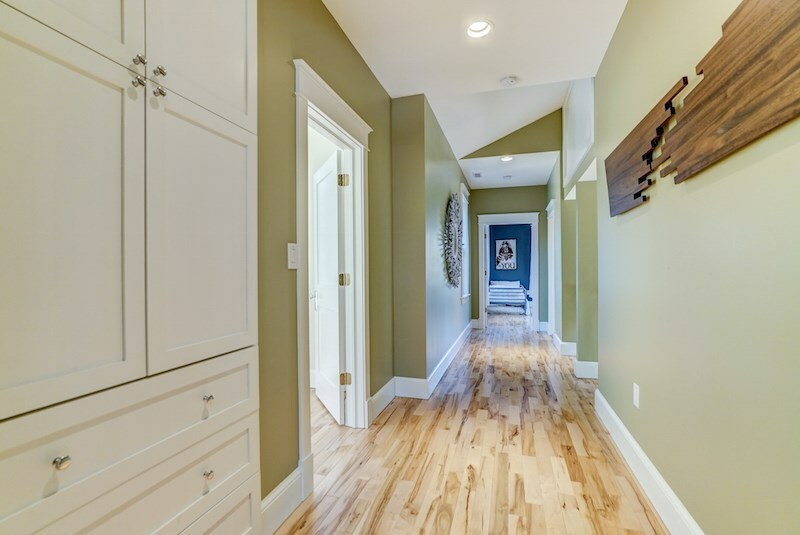 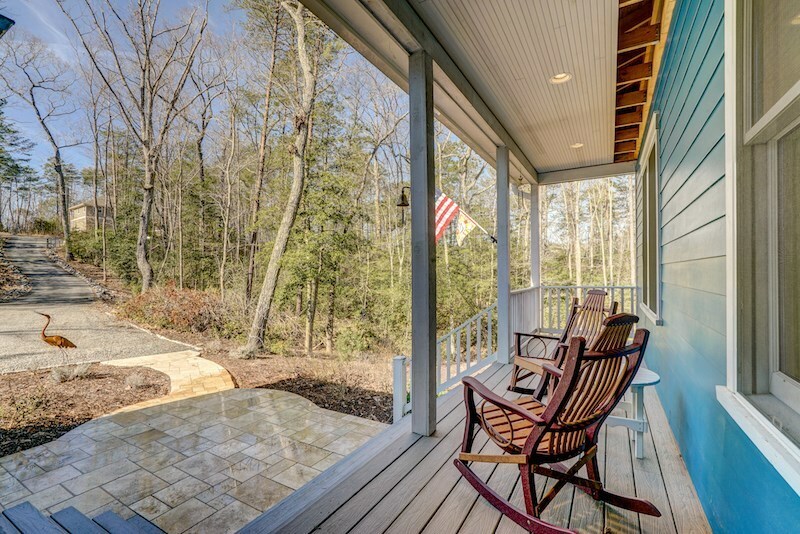 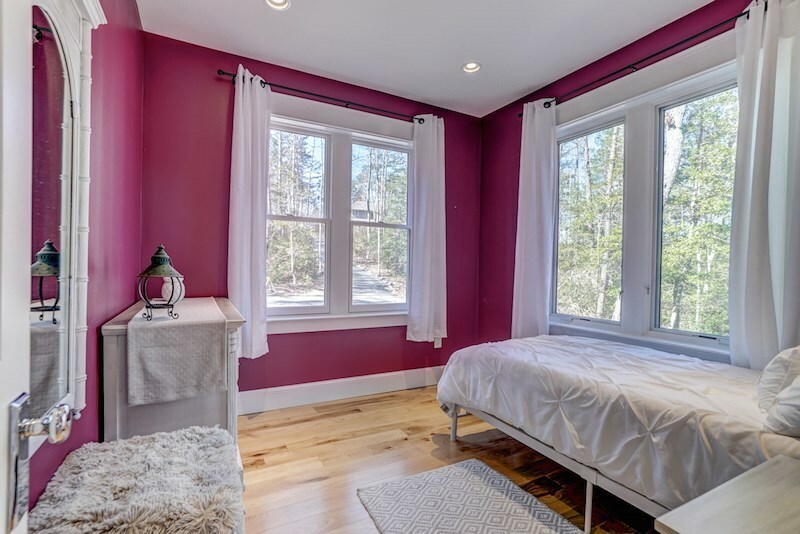 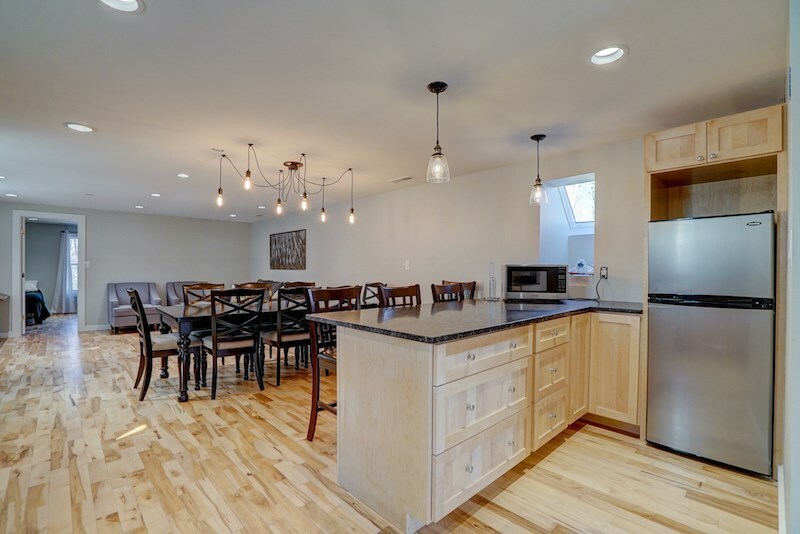 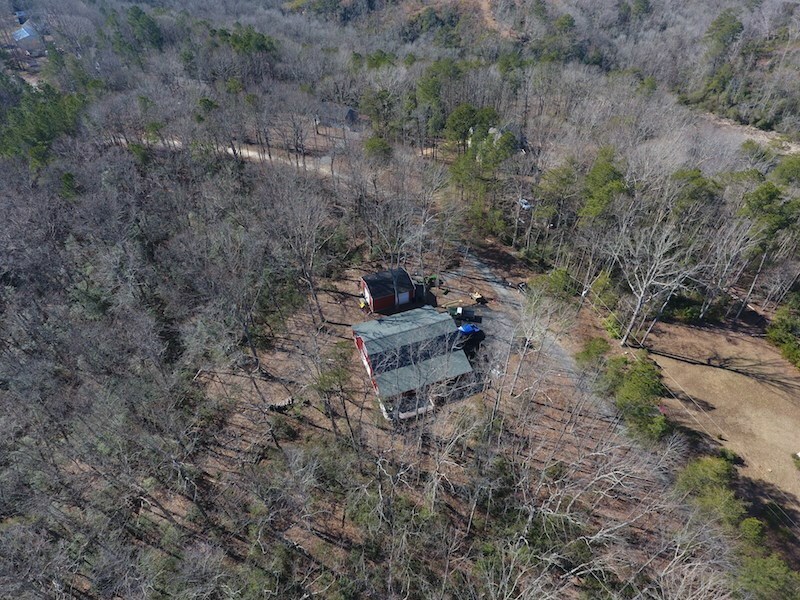 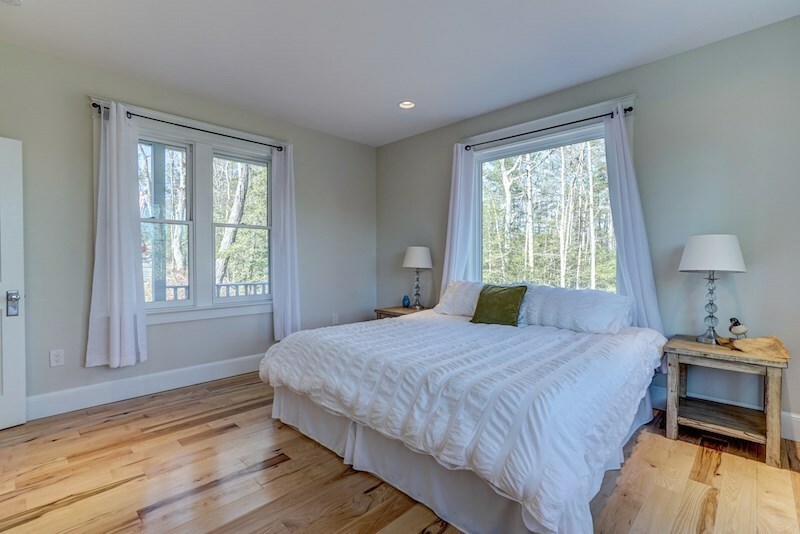 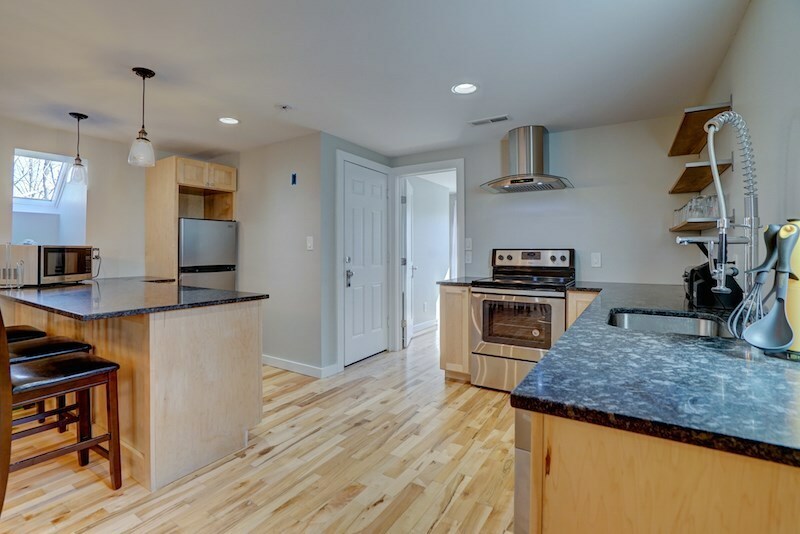 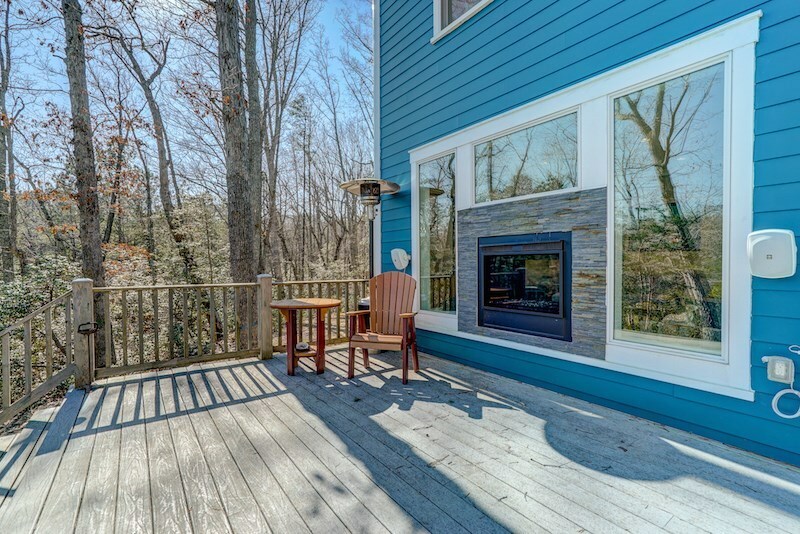 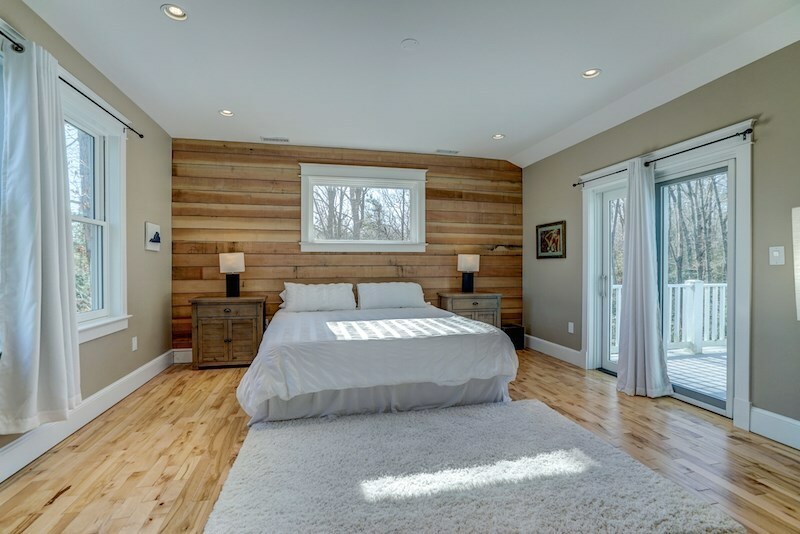 Check out the two virtual tours for the home and barn and then plan your visit to this property. You have to see it to believe it!